DCNS expertise in submarine design and construction, through the Scorpene medium-size submarines. Already chosen by the Royal Malaysian Navy and other first rank navies, Scorpene submarines represents the state-of-the-art in submarine design and construction and benefits from the latest technologies developed for nuclear-powered classes operated by the French Navy, particularly as regards acoustic discretion and combat system performance. At DSA, the Scorpene is presented through the Subtics® combat system. DCNS has over 40 years of experience in design, development and integration of combat systems for international navies. DCNS expertise in combat systems includes a committed staff of 1 200 people, mainly composed of specialized engineers, combined with high technology and wide industrial capabilities. To respond to today’s naval defence needs, DCNS offers fully integrated combat systems solutions for new and modernization programmes and for any type of submarines such as SSK, SSN or SSBN and surface vessels from Offshore Patrol Vessel to aircraft carrier. Thanks to a widely recognized NATO expertise and a steady involvement in interoperability standard workshops, DCNS’s Subtics® can efficiently operate with other systems within a national or joint task force. The Mistral-Class LHD. With a length of 199 metres and a displacement of 21,500 tonnes, a Mistral-Class LHD offers a global projection capability for troops and materiel. Mistral-Class LHD also offers ample capacity as hospital ships or for large-scale humanitarian missions. The design features electric propulsion using azimuth pods and high-level automation compatible with a complement of just 170. A high-performance communications suite, a 3D surveillance radar and a Senit 9 combat management system (CMS) make the type ideal as a naval force command vessel. For the record, the third Mistral-Class for the French Navy was delivered ahead of schedule and the construction of the first Mistral-Class LHD for the Russian Navy has started. 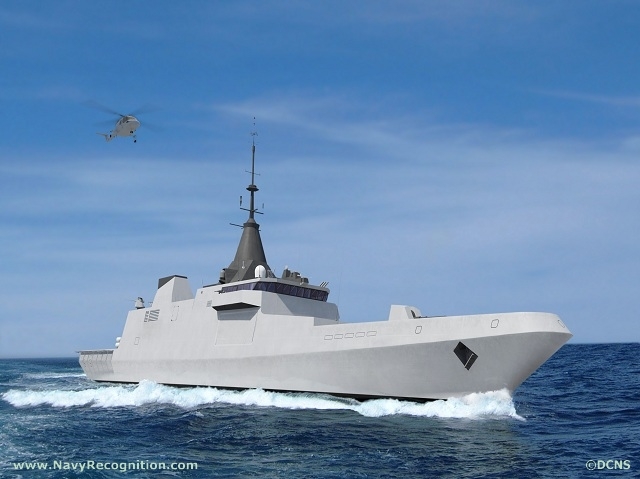 The FREMM multimission frigate combines the latest technologies developed by the DCNS group. FREMM frigates are among the most technologically advanced and competitively priced on the world market. These heavily armed warships are being built under DCNS prime contractorship to carry state-of-the-art weapons and systems including the Herakles multifunction radar, MdCN cruise missiles, Aster anti-air missiles, Exocet MM40 anti-ship missiles and MU90 torpedoes. These innovative multirole frigates are designed to respond to all types of threats with unparalleled flexibility and availability. France’s total order is 11 vessels and the delivery is scheduled from 2012 to 2022. In addition, one FREMM frigate is currently under construction for Morocco. The innovative Gowind® vessels, a new family of ocean-capable vessels designed by DCNS for all littoral and sea operations, are exceptional tools able to fulfil missions ranging from anti-piracy up to sea control and denial. The Gowind® Combat is a multi-mission corvette (100 metres, over 2,000 tonnes), A fully militarised platform, she has a comprehensive Mission Management System for full-scale multi-threat missions, including a complete ASW suite with towed array sonar and improved stealth and survivability. Smaller, the Gowind® OPV is designed to meet the operational needs of a large number of navies focusing on coastal missions/homeland security. A first ship is already used by the French Navy since October 2011. With a length overall of 87 metres and 1,000 tonnes displacement, the Gowind OPV will offer three weeks’ blue-water endurance, a range of 8,000 nautical miles and a top speed of 21 knots. DCNS provides a wide range of support services during the entire lifecycle of surface ships and submarines. These services stretch from the simplest order of spare parts to the through-life support of complete fleet. On top of current support operations, DCNS can carry out modernization and life extension programs to maintain fleet availability at optimal cost. DCNS also offers a complete set of courses and solutions designed to train all levels of naval and industrial personnel, from the start of a project through decommissioning and/or dismantling. Finally, DCNS proposes services in naval bases and shipyards from the design, engineering, construction, operation to the maintenance. This global offer is designed to help navies to maintain and expand their self-sufficiency within technology transfer programs. Boustead DCNS Naval Corporation Sdn Bhd (BDNC), a Joint Venture Company between BHIC Defence Technologies Sdn Bhd and DCNS awarded by the Malaysian Ministry of Defence (MINDEF) to undertake In Service Support (ISS) for the two Royal Malaysian Scorpene Submarines.